Regenerative medicine company, AVITA Medical (ASX:AVH | OTCQX:AVMXY), today revealed that it will be presenting an economic model demonstrating the cost benefit of its RECELL® treatment at the International Society for Pharmacoeconomics and Outcomes Research (ISPOR) 23rd Annual International Meeting. 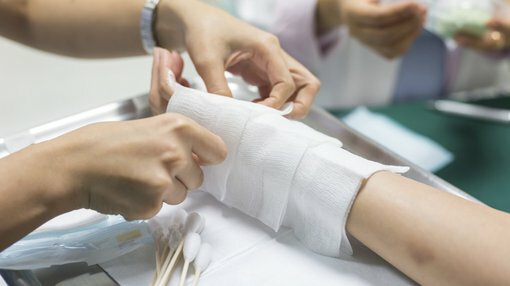 The abstract for presentation, titled ‘Inpatient Cost of Acute Care for Severe Burn Patients: Validation of Economic Model for Adults and Children’, highlights the cost-effectiveness of RECELL in contrast to the standard of care for treatment of severe burns. The meeting will be held on May 21 in Baltimore, Maryland. Burns require costly care due to the need for complex and individualised treatment. RECELL is a medical device designed to facilitate skin regeneration while minimising the amount of skin harvested at the time of surgery. Reduction in donor site skin requirements has important benefits from both clinical and health economic perspectives. “This externally validated model will allow us to approach hospital value and analysis committees and payers with a strong economic package that supports the cost savings that may be achieved with the use of RECELL,” Perry added. Of course, it should be noted that AVH is still a speculative stock and anything can happen. Investors should seek professional financial advice if considering this stock for their portfolio. The model was developed by AVH, IQVIATM and the Biomedical Advanced Research and Development Authority (BARDA), under the Assistant Secretary for Preparedness and Response, within the US Department of Health and Human Services. Funding provided by BARDA to support the development of RECELL has included support of the health economic model. ISPOR, the professional society for health economics and outcomes research (HEOR), is an international, multi-stakeholder non-profit dedicated to advancing HEOR excellence to improve decision making for health globally. It is the leading source for scientific conferences, peer-reviewed and MEDLINE®-indexed publications, good practices guidance, education, collaboration, and tools/resources in the field. ISPOR’s Annual International Meeting is an international forum highlighting research and methods that advance the quality and value of health care decisions.